I have made more sauce in a month than I have in my entire life. We got a boatload of tomatoes again from the crop share and still have them coming in every day from our garden. 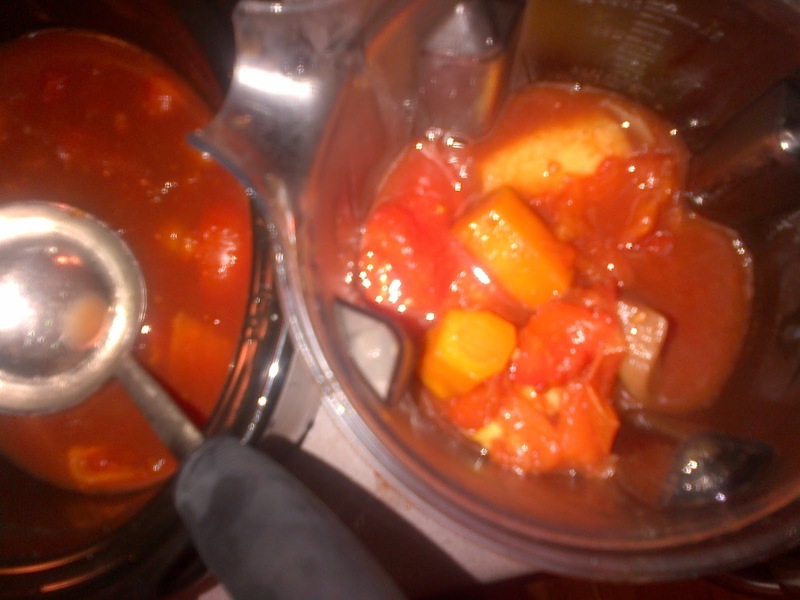 So last night before bed I threw all the fresh tomatoes, onions, yellow squash, carrots in the crock with red wine, pinch of sugar and a can of whole tomatoes. When I woke up this morning I pureed everything and it was ready to go. It really couldn't be easier and you can't beat the taste and obviously with all those fresh vegetables the health benefits. I took the baby in the morning to have his hair cut since my husband kept commenting on how he needed it. After the haircut we ran to Target to pick up a gift card for a birthday party next month and bins to store summer clothes. By 10:30 we were home and I was upstairs working on swapping out all the clothes. I then figured I would just swap mine out too to get it over with. So happy that is done! My big boy and I went to the birthday party. Before we left I gave my husband instructions for dinner. 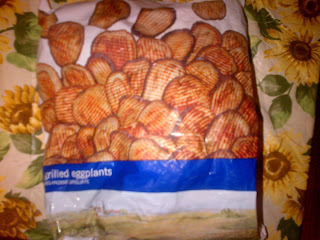 I found this big bag of frozen grilled eggplant at Whole Foods. I thought how cool to use this for eggplant parm. My husband layered the eggplant with the fresh tomato sauce I made and mozzarella. Popped it in the oven and that was it. 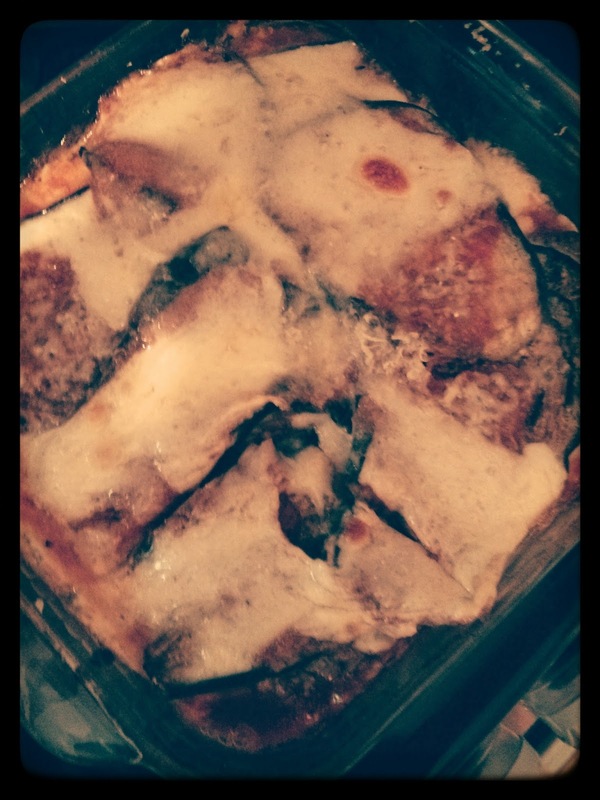 I am not going to lie to you, it's not as good as REAL eggplant parm that is breaded and fried. However, I would make this again, but for lunch since it's a quick, healthy option (and something different from my usual soup or salad). I would cut it up into individual serving sizes, freeze, take out the night before and then bring it to work. It's a groupon weekend. My husband took the big boy to meet a friend at some race track thing -- I really am not even sure what it is and maybe I am better off being blissfully ignorant in this case! My middle one is sleeping and baby keeps crying so am in/out of his room to soothe him back to sleep. It's 7:30 - hopefully soon I can put my feet up to relax!